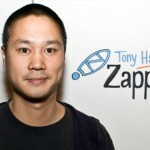 Several weeks ago, Tony Hsieh, CEO of Zappos.com, agreed to respond to readers’ questions. Today is the fifth and final installment to those questions, here are the first, second, third, and fourth installments. What are your thoughts on the thesis of that book “The Best Service is No Service: How to Liberate Your Customers from Customer Service, Keep Them Happy, and Control Costs” ? Do you agree that eliminating the need for the customer to contact the company is a good thing? I personally hate dealing with any customer service and wish that companies made it easier for customers to have good experiences. 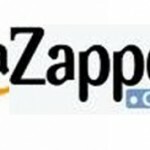 Having to call customer service is a failure in the company and is sometimes made worse when customer service isnt good. There can be two failures I guess. I haven’t read that book, but I think it really just depends on what makes for a better customer experience. There are definitely cases where a self-serve model is a better customer experience, and there are times when it isn’t.
. . . the telephone, as low tech as it may sound, is also a great way of really connecting personally with customers. So that’s actually why we’re very different from most web sites that try to hide contact information.